Are you sick of the traits of ADD / ADHD tripping you up? You are so stressed out at your lack of productivity that you can’t relax with your family. Your clutter has kept you from inviting people into your home. You feel deep shame at being unable to do things that others seem to have no problem with. Trust me, you are NOT alone in this struggle! The challenges you’re experiencing are very common for adults with ADD / ADHD. I know, and I’ve been there! Reaching your full potential requires that you are in control of yourself, and not feel that your ADD-type brain and tendencies control YOU. I call this process of transformation “SELF-MASTERY.” It is not quick. You didn't arrive on Earth with step-by-step instructions. Your unique combination of ADD traits will be overlaid by your own personality, tendencies and preferences. All of these different aspects of yourself interact with each other to affect the kinds of strategies that will work for you. No matter how great those strategies are, often mindset blocks stop people from successfully implementing them and seeing results. 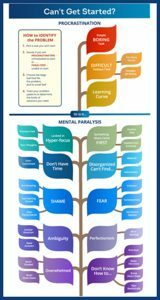 Without ongoing support, it's almost impossible to for anyone to recognize mindset issues in themselves while tweaking and tailoring new strategies. You need enough time to test, tweak, evaluate, practice and gain confidence in this new journey, while being guided and supported along the way. I’ve devoted my career to helping people like you to become the best self you can be. Since 2001, I've coached and trained thousands of people with ADD / ADHD traits develop personalized strategies to overcome, break through or master the tendencies that have been holding them back . I’m very excited to introduce you to my affordable program that’s been years in the making. The Pathfinder program is gentle training journey, rather than an intense course. You'll be guided at your own pace through a process of learning, practicing, and integrating the strategies into your life as you begin to confidently gain control of your productivity and your life. Discover your particular roadblocks – from procrastination to the many reasons for mental paralysis -- that keep you from getting started and sabotage your intentions. 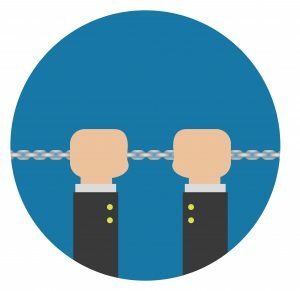 Break the chains of shame – toxic shame often creates worse problems than ADHD itself! Learn how to keep yourself out of dysfunctional shame-based avoidance! Dramatically improve your “time sense” – with my Time Sense Tool, you’ll learn to accurately estimate how long things will take, no matter how off-base your predictions currently are. - WARNING: This alone can change your life! Stay on top of your schedule – Create a solid calendar habit with a two-step ritual, to avoid double-booking or forgetting appointments. Learn your optimal amount of structure – Discover whether you’re guided by a strong “inner rebel,” you revel in firm structure, or you’re somewhere in between… to choose the best kind of planner for your needs. Decide with confidence - the “Confident Decider” technique removes the stress of uncertainty as you lay down multiple options, and compare them across as many criteria as you need. Make strategic planning decisions - the Strategic Calendar creates a visual representation of your projects over a longer term to see at a glance what periods are over-committed, or your best times to take a vacation. Learn the 5 Stages of Follow-Through, and identify your own “Follow Through IQ.” Seeing your particular pattern of strengths and weaknesses over the different stages provides insight for improvement. Work through defining all 5 Follow-Through stages for a particular project of your own, using case studies and knowledge of your own traits and tendencies to help develop your ideal strategies. Stay on top of your projects’ status at all times with a simple template and ritual. Gain a proactive reputation as you learn how to manage other people’s expectations and elevate their perception of you … to maintain their trust, even when things go wrong! Each lesson gives just enough strategies to get you started, without overwhelm. This time-frame and the well-structured sessions have given me a chance to create a manageable overview in my mind, both of barriers and strategies for overcoming them, and also of how each issue relates to each other. This is much more effective than reading books, or even attending groups. Because you can go back to a session and access the handouts, there is no stress to get it all done at once, but it’s cohesive and I feel held accountable (to myself!) without external pressure. The gentle journey to self-mastery..
Pathfinder is designed as an ongoing membership program, rather than an intense course. It will take you through 5 stages, progressively building your skills, attaining new insights, and seeing your habits change. My goal is to ensure that you take full control of your productivity, with confidence that YOU are in charge – not your ADD traits. Quick tips and band-aid solutions simply won’t get you there. If they had… well, you wouldn’t be reading this now! The topics are presented at a gentle pace that allows you to thoroughly integrate what you learn. This no-pressure pace gives you the gift of TIME that you may never have granted yourself. You don’t have to continue for the full training. But I’m confident that once you start to experience the transformations in Pathfinder you’ll be excited to complete the journey! Within Pathfinder, you’ll be interacting with people at all different levels. You'll have the chance to hear about strategies that may be further ahead, and to try them if you'd like. If you'd like individual attention, "Pathfinder Plus" lets you incorporate private coaching into your learning each month. Use your one-to-one coaching sessions with me to delve deeper into the lessons, or gain insight into your work or personal life. Bonnie Mincu helped me make sense of the “primordial soup” in which I found myself. My particular problem is chronic procrastination, a feature of my life for over 20 years. I spoke to several ADHD/ADD coaches, including ones suggested by my doctor, but Bonnie Mincu stood head and shoulders above the rest. She has been a life-saver! She tailored an approach that was useful for me, was able to give of herself and share common challenges she has faced herself as well as those of her clients, whilst preserving confidentiality. I have found her Productivity Pathfinder invaluable as a backstop to the work we have done in session. Short, bite-sized pieces - Every 2 weeks, you will open up a new lesson that takes you further along your path. These were designed to be overwhelm-proof, focusing on just one key concept at a time. Each lesson is SHORT! Video, audio and notes - The material is presented to serve all learning modalities, and you can choose the way you prefer to consume it: Viewing, listening, reading, or all three. You are encouraged to download the material so you’ll have it permanently. Each month, there will be at least two scheduled OFFICE HOURS sessions: live Q&A sessions with me where you can “ASK ME ANYTHING!” It doesn't matter what level you're at in Pathfinder when you ask questions. People at all different levels will be on the calls. 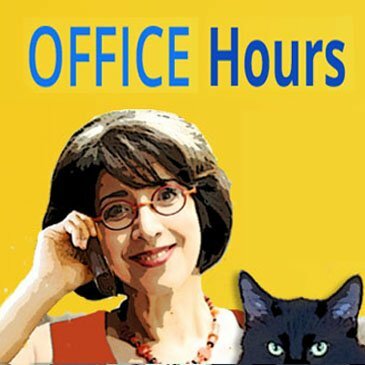 Office Hours calls are recorded – If you can’t make the call during its live scheduling, you may type your question in advance into the call web page’s question box, and hear me answer it when you listen to the recording. LIVE “WORK-IT” SESSIONS: Get Things Done while you Learn! You’ll love the “WORK IT” sessions where you’ll learn specific techniques and actually apply them as you listen to the webinar. You’ll get extra Q&A time as well. (The recording of the live sessions will feel just like you’re there!) Expect to be surprised by your results during the session! 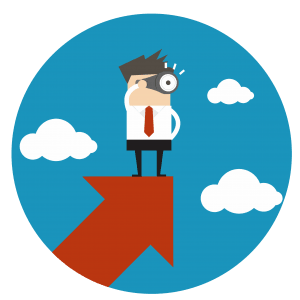 WORK IT – Get It Done Fast! Use timer games in different ways to plow through those boring tasks you’ve been procrastinating on. You’ll get them done in record time during the live session, using me and the group as “body doubles” to help you focus. While you work in short timed bursts, I’ll answer any questions you submit… so you get an extra Q&A opportunity. WORK IT – Clear Clutter Now! Work as you learn my ADD-friendly system for clearing clutter fast, based on a rapid no-brainer sorting method. Instead of the tedium of endless decision-making, you’ll love this exhilarating way of busting through your clutter without stress or boredom. Count on getting through a significant pile of papers or clutter during the live class. You’ll want this replay this recording again and again. WORK IT – Writing Breakthrough! Whether you’re a professional writer, or simply deal with email, wouldn’t it be great to get through that writing a lot quicker? Using the approach taught in Pathfinder, work through an actual piece of your writing during the session. You’ll be amazed how painless it is to quickly capture your thoughts, put them in order and write a quick draft. All that’s left is the final editing touches. Several topics warrant deeper exploration with live sessions. These are optional “extras, to allow you to go to a deeper level with your understanding and strategies. Free for members! If you'd like, we'll match you up with an Accountability Buddy in Pathfinder. Scheduling weekly check-ins with your "buddy" helps keep you both on track at whatever level or goals you're working on. People who work with AB's find it keeps them more focused on their program goals. Each lesson will have suggestions of how to put what you learn into practice in your own work or personal life. That will allow you to see for yourself how it works for you, or how you might want to modify it. Keep yourself on track with the online (and downloadable) Pathfinder Workbook. This will help you record how you intend to put the tools and concepts into use, and track your progress. Test your knowledge as you complete each Level and Stage of the lessons. You'll like these quizzes: there are hints for each answer, and you can retake the quiz if you don't nail it the first time. Of course, taking the quiz is optional... but it's motivating to see how much you've learned. A supportive community is of enormous value for ADD / ADHD people to know that others not only share your challenges, but also to share their success strategies, app recommendations, suggestions. The Pathfinder Forum is a great place to learn from each other – any time, day or night! Completely anonymous (NOT on Facebook!) – If you’d like to remain totally private in your forum interactions, you’re welcome to use first name only, or make up a name and choose an avatar! Bonnie really knows her way around the ADHD brain. And she's a delightful guide, appearing around the corner, when you've digressed, to lead you back with humor, precision, and powerful ROI persuasions. It's wonderfully poignant to be so "known" and affectionately observed in Bonnie's well-chosen stories and her many resonant suggestions. After years of reading books, online postings, listening to podcasts, and attending the ADD Resource's annual conference, I finally found a living framework in which to observe my patterns and gain new skills. Bonnie's provided so many different ways to access the content and spirit. I loved having the notes, the slides, the assignments and bonus things, and printed everything out for a notebook that I'll visit often. Pathfinder's training and live support is worth hundreds of dollars each month. But no matter how much the price may increase in the future.... Join Pathfinder now and you'll be grandfathered in at only $47 per month... for the life of the Pathfinder program (as long as you remain a continuous member). Once you sign up, you will automatically be charged the same low fee every month until you’ve achieved your “SELF-MASTERY” badge. After achieving Self-Mastery, you may be offered the option to continue membership and gain access to additional material. Pathfinder membership is a monthly subscription. You are not under contract, and you may cancel at any time with no obligation. COMMUNITY GROUP FORUM - completely private (not in Facebook) just for Pathfinder members. Everything you learn is designed to SAVE you time! How long does the program last? I need some answers fast. Pathfinder was created as a distinct difference between giving you advice & information, and guiding you along a transformational journey of USING the strategies so that you OWN your productivity. The program length to graduate through all 5 Stages is approximately 50 lessons. However, you will have the opportunity to get quicker answers for any specific needs you have. The live Q&A sessions each month are times to “ask anything!” You’ll also be able to pose questions in the Community Forum, and get opportunities for laser coaching. In each Stage, you'll valuable insights, strategies and tools that many people have found life-changing. It’s EASY to get quick answers. There are loads of books, webinars, blogs and training programs with quick tips and “Top 10” lists of advice. (I give plenty of quick training on various topics myself!) But quick answers, without understanding how to develop strategies or how to apply them to your own situation, aren’t going to get you far enough. You can waste years searching for that quick fix and avoiding actually changing anything. And sadly, a great many ADD people do. How much time will the lessons take to do? The training is self-paced, and it's up to you how thoroughly you dive into each lesson. It's not a race, and there's no pressure to "keep up" with a schedule. Pathfinder has been created for BUSY people like you who don’t have time for long, involved lessons. That’s why each lesson is small, short and bite-sized. Even if you miss several lessons when they roll out, you’ll be able to go through them easily later. It's your choice how you consume the lesson material: by video or audio or notes. Each lesson tends to be one to three videos, each video being 8-15 minutes long. Or you can download the audio only and listen as you do basic tasks at home, driving or commuting to work. If you prefer to learn by reading only, just download the notes. The real change comes when you practice what you learn. The suggested practice assignments are all ones that fit into your own routine, and should help you do what you do better and faster. The point is to save you time, not make you work more! A lot of overwhelm comes from running in place, instead of knowing HOW to work more efficiently, and to approach your work in a calm, confident and systematic way. Learning how to get out of your own way is what ADHD “self-mastery” is all about. I feel so ashamed of not being able to do what I should. Can I learn without getting depressed looking at my failures? That kind of shame is the biggest roadblock of all. That’s why understanding your mind-set is so important. If you think about it, you must realize that avoiding identifying your own pattern of roadblocks (and they are roadblocks, not “failures!”) is why you’ll continue to get tripped up by the same thing over and over again. Imagine how great it would feel to KNOW the solutions that will work for you, ACCEPT that they’ll take a little trial and error, and be able to take PRIDE in your step-by-step improvements! I’ve tried so many times and nothing worked. Why would this be any different? Without an ADHD coach or systematic process, “trying” different solutions can seem like a random shot in the dark. Have you gone through any process of self-awareness to identify the kinds of solutions that YOU need, at a particular time, and for a particular problem? When you decided a solution “didn’t work,” did you work through exactly WHAT didn’t work about it? ADD-type impatience can make us quick to abandon things that may have actually worked quite well. With traits of ADD / ADHD, the RIGHT strategy is likely one that’s been customized to suit YOU. There are a lot of factors that can make a strategy “right … or make it seem wrong! A simple tweak might have made all the difference. Or perhaps the new solution simply wasn’t done long enough to become a habit. Do I have to follow the program in a particular order? A new lesson is rolled out to you every two weeks. It's up to you how quickly you access that lesson, or in what order. Of course, as in any training, there may be times when you are given a piece of information that you already know. In those cases, your focus can go deeper into whether you’re applying it most effectively to get the results you want. The material builds on previous lessons, but you can always go back and access a previous lesson that you skipped. Remember, your goal is to reach Self-Mastery, building up your knowledge and insight over time. So the value you’ll gain from participating in Pathfinder is in customizing what you learn and applying it best to yourself at a pace that allows you to integrate each new piece into your life. If it’s not right for me, how can I cancel? As a monthly subscriber, you are not under contract, and you may cancel at any time with no obligation. To end your monthly recurring membership, simply email us, or click the cancellation button in your Pathfinder members’ website, and you should receive an automatic acknowledgement by email. (If you do not receive the cancellation confirmation, you can email us for support). You must cancel at least 7 days in advance of your next month’s billing date to avoid being charged for an additional month. Each lesson that opens for you while you're in Pathfinder contains notes, resources and audio that you can download and keep. (You'll need to be a Pathfinder member to view the videos.) So make sure to download the material... even if you don't consume the lessons right away, you'll be able to refer back to them for years. 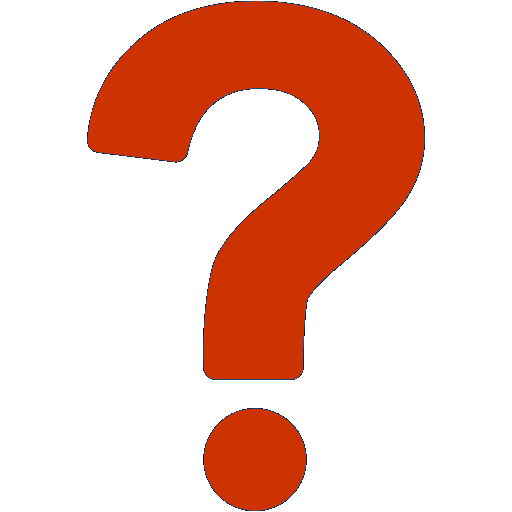 What if I need more individual coaching? PATHFINDER PLUS was designed to give Pathfinder members individual coaching to supplement their training, at 20% off regular coaching rates. At $197 a month, as a Pathfinder member, you may schedule a 60-minute coaching session with me each month. That's 20% savings over my regular coaching rates. If you would like to talk about private coaching, contact me to schedule a complimentary consultation. I will have a special package for Pathfinder members. My overwhelm and fear are transforming into hopefulness. Using Bonnie's strategies, tools and weekly assignments led to changes in my mindset and my willingness to experiment with new behaviors. I am creating new habits to replace old self-defeating ones. My overwhelm and fear are transforming into hopefulness. I am very pleased and excited by the changes I am making. The doors only open for membership a few times a year. Each month as a member, you'll get new training and insight you won't encounter anywhere else, at any price. Remember, there’s no obligation, and you can cancel any time. I really DO hope you’ll join the Pathfinder community. I know it is one decision you will NOT regret! I look forward to guiding your journey to productivity and self-mastery! P.S. There is nothing like the truly satisfying feeling of being in control of your time and your day, to actually be able to just DO IT when you need to. Life is so much rewarding when you can go to bed feeling you accomplished what you intended to that day. It really is possible! I hope you don''t deny yourself that possibility.